I’m a writer: Is it okay to scream for joy now? This seemed to be the buzz phrase at the NJRW conference I attended last weekend. Every other workshop, particularly those that spoke about the expansion of E-pub, self-publishing and the juggling for position of traditional publishing, seemed to hold this sentence in high regard. After, reading an article about authors no longer being at the mercy of publishers, I began thinking about my options, and started to see the truth in those few words. While I’ve mentioned that I would love to be published by a traditional publisher, I’m starting to see the possibilities of venturing into other avenues of publication, which may lead me back to that traditional path. The organization didn’t believe that the author should “pay” for the publication of one’s book. I totally get and respect that. However, as we all know, times are changing. Authors are trying to broaden their readership, have control over their work and sell books where they can. Thank goodness, RWA was savvy enough to recognize that many of its members have gone the e-pub and self-publishing route, and support them. This is a good thing. As I see it, I can remain a member of RWA and NJRW and be considered a “published” author, even if I self-pub. Granted, the author must make a certain amount in revenue from their self-publishing to be considered a true published author within RWA. But even with that caveat, (which isn’t unreasonable) this new consideration gives an author the opportunity to get their books out, particularly when traditional publishing is slow to pick up and rejections are more than overwhelming. If I decide to go the self-publishing route, I will follow two words of advice that often come with the, “it’s an exciting time to be a writer,” cheer—copy editor. 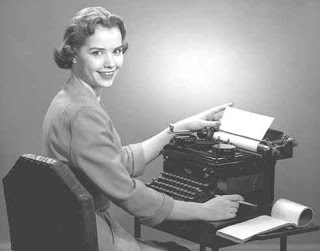 I will secure the services of a copy editor who can go over my book with a fine tooth comb and offer suggestions that will make my book the best it can be. I don’t want to publish crap. And I don’t want to try and sell it to anyone. IMHO, some of the books on the self-pub scene totally missed that important piece of advice. Just tossing it out there on this Thursday afternoon. This entry was posted in literature, Thoughts, Writing and tagged agents, Authors, E-publishing, editors, New Jersey Romance Writers, publishing, Romance Writers of America, self publishing, writers, Writing. I think self-publishing is a perfectly valid option, and there is a huge market for romance novels on Kindle and Nook. Thanks Misha, I agree. RWA’s acknowledgement of self-pubbing made it plausible to look into it, and not have to rely on traditional publishing to sell my books. I think you’re absolutely right about the steps to self-publishing that are left out. The upside of selling to a publisher are all the in house services of editing, but if you can find recommended, reliable freelance editors, self-publishing can be a boon to emerging writers. Like the recording industry, the publishing industry is working from an old business model. It doesn’t mean that we have to as well. @TheGreenStudy …Hear, Hear! You still need the professionalism of the publishing industry. Unfortunately, I’ve seen potentially good books marred by poor grammar, punctuation and plotting. If you go the self pub route, you have to arm yourself with the best support. I would say someone with good technical experience as well needs to be on the team. Some of these E-book editions just get mangled in translation between devices.